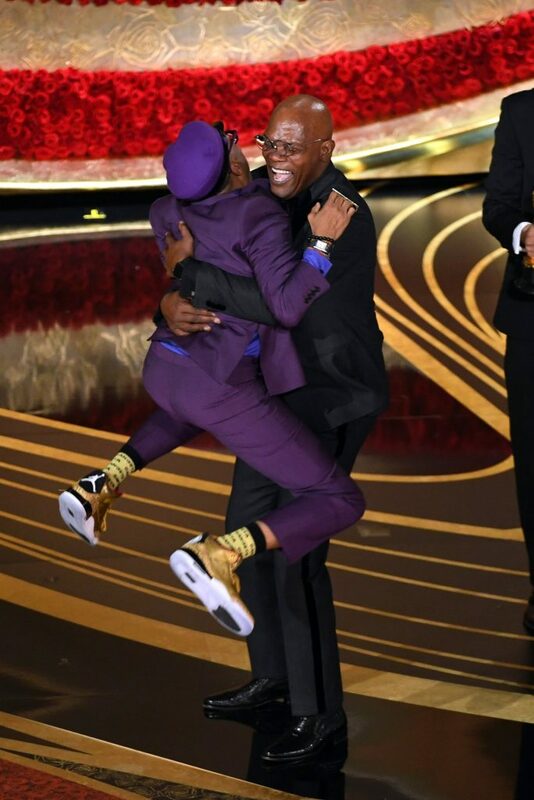 Have to admit: the 91st Annual Academy Awards did not miss having a host one little bit. Even at the very end, which was only about two minutes over the allotted time, having final presenter Julia Roberts simply say goodnight and thank her mom was so in keeping with what turned out to be a more informal, less gimmick-y, and less cynical approach to the film industry’s big night. 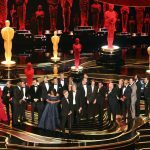 It became apparent to me early on, as I sat and watched, mobile device in hand, that Twitter has become to defacto host of the Oscars. Any jokes Jimmy Kimmel, Ellen DeGeneres, Tina Fey or others might have made as host are now being made by thousands of viewers all across North America. I tweeted at one point: “Man, Jimmy Kimmel is taking a long bathroom break.” Really, though Kimmel was wise to duck a third Oscar invitation as host. He probably had a lot more fun just watching the show. Not missed, also, were the overly elaborate host gags that go too far, such as handing out food in the audience or bringing bus loads of tourists into the Dolby Theatre. One or two presenters made me think, hey, maybe this guy next year. The Late Show‘s Trevor Noah was certainly one who stood out, he of the sharp Mel Gibson jab. The South Africa-born comedian would have been a good fit with Sunday night’s show and its inclusive, international vibe. One on-line colleague pointed out early that the first five categories were all won or shared by women and five of the four were women of colour. 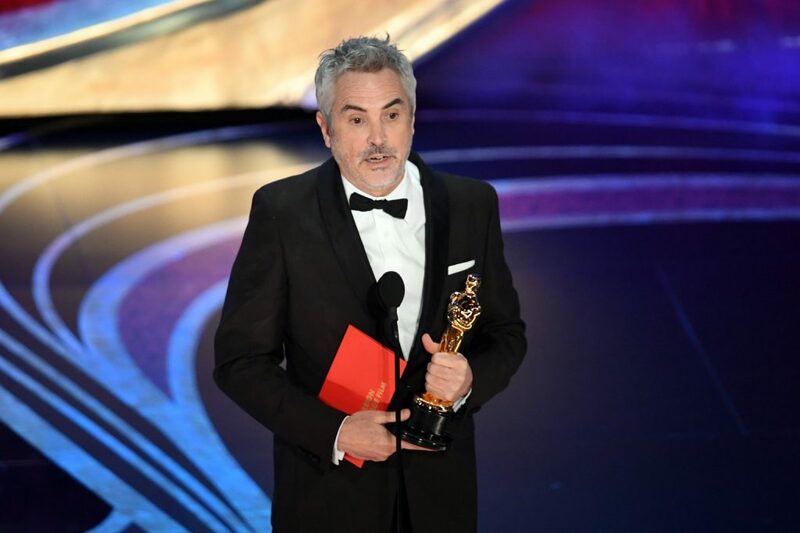 Somebody else tweeted that Mexicans have won five of the last six Best Director Oscars, including “Roma” helmsman Alfonso Cuaron, who also won for Best Cinematography. No wonder Trump wants to build that wall. 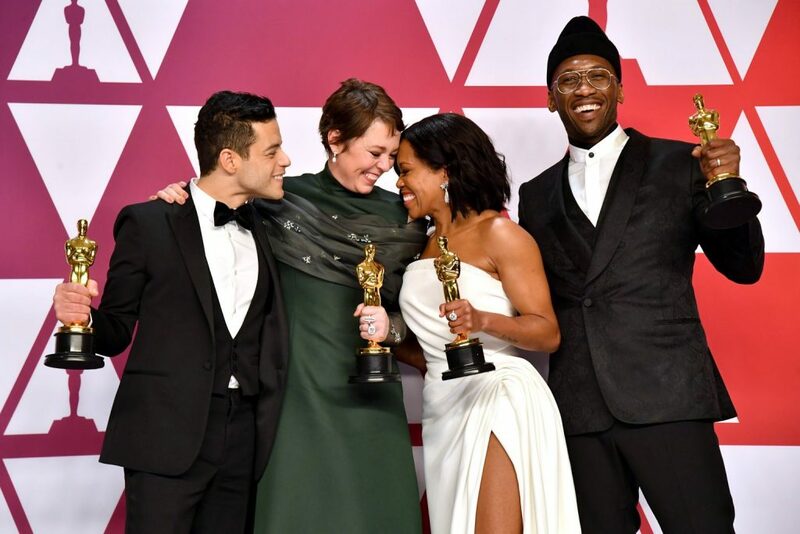 It was a nice touch when last year’s winner and fellow Mexican, Guillermo del Toro (“The Shape of Water”), handed Cuaron his second Oscar — although del Toro may have also passed along his flu bug to his countryman with his hearty embrace. 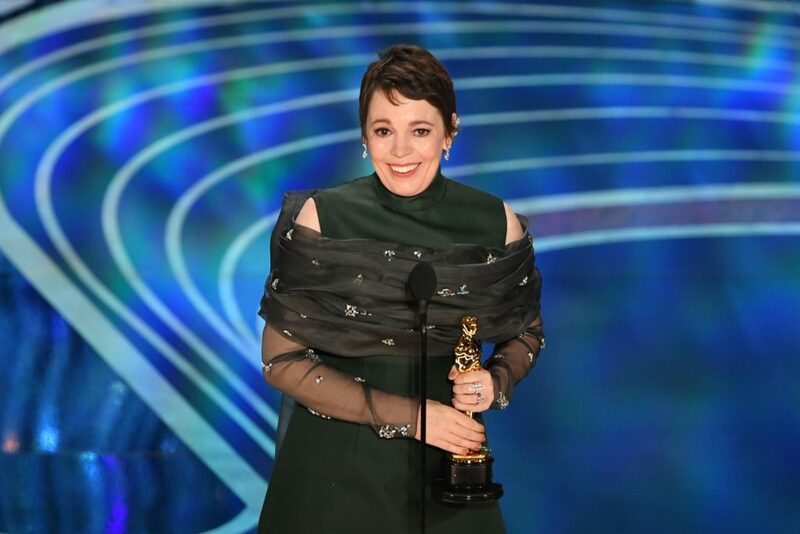 High points on the night for me have to start with Olivia Colman’s gobsmacked reaction to upsetting Glenn Close as Best Actress. Coleman, who was quite memorable in “The Favourite,” was gloriously dazed as she thanked whoever her eyes happened to land upon. The night really needed that deliriously impromptu and unfocused moment; too many people were trying to list off every name they could scribble. This year’s In Memoriam was sweet and simple and enhanced with a live, orchestral performance. 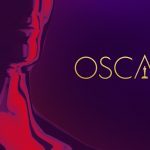 Some names, as always, seemed left out, but the Academy has over 200 listed on line, including a few who didn’t make it on screen such as Jerry Van Dyke, Kaye Ballard, Ken Berry and film historian and archivist Ron Hutchinson. 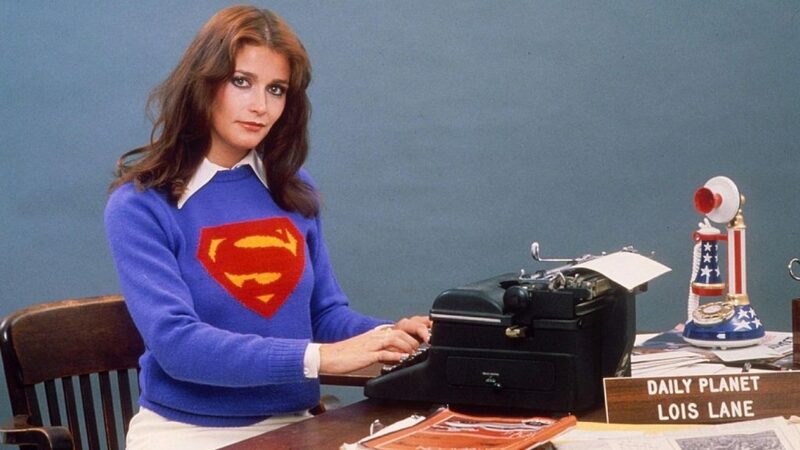 One who did make the cut was Canadian-born “Superman” costar Margot Kidder. I also really liked the way one of the nominated songs, “Shallow” from “A Star is Born,” was presented. A crew was shown, from the perspective of the back of the stage, rolling out a grand piano and setting up microphones. As the camera continued to move closer to the piano, Lady Gaga and Bradley Cooper made their way out of the audience and onto the stage. Both sang and Gaga played the keys and all the while the on stage view kept the full auditorium in the background. The camera eventually swung right in for close ups. 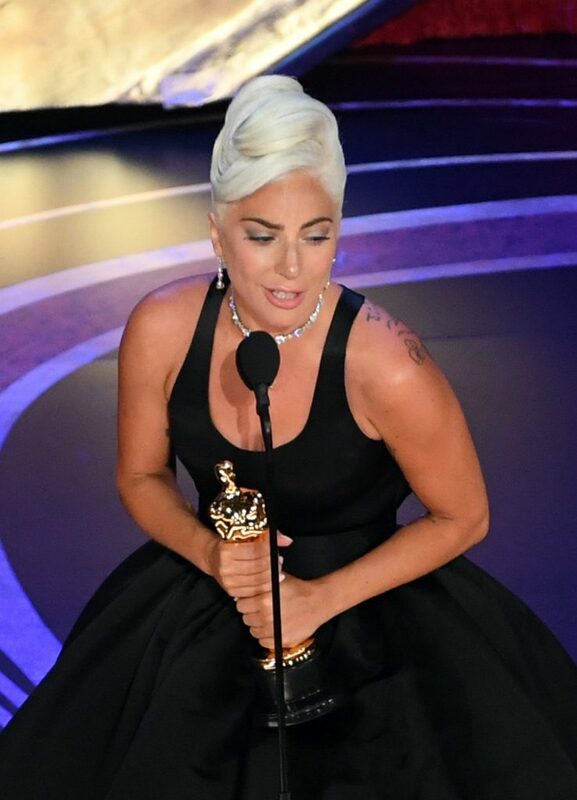 By the end of the performance, a wonderfully intimate, very “Star is Born” moment was captured. Bravo to all for committing to that set up through what must have been several rehearsals. Kudos, as well, to the audio visual technicians who filled the giant stage with these gigantic electronic murals throughout the night. I’m pretty sure TCA pal Dave Taylor and his crack AV projection team were in on that innovation and have the creased tuxes to prove it. 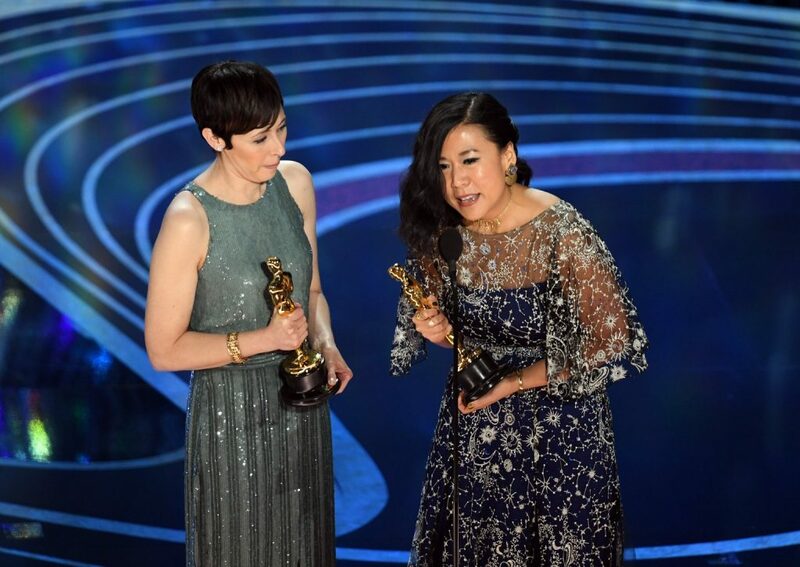 Congrats also to Chinese-born Canadian Domee Shi for winning the Best Animated Short award for “Bao.” The film, written and directed by Shi and set in Toronto, is about a little dumpling that springs to life. Shi’s message to all the weird girls — “Don’t be afraid to share your stories with the world” — was one of several, “go for your dream” moments on what turned out to be a very positive night.